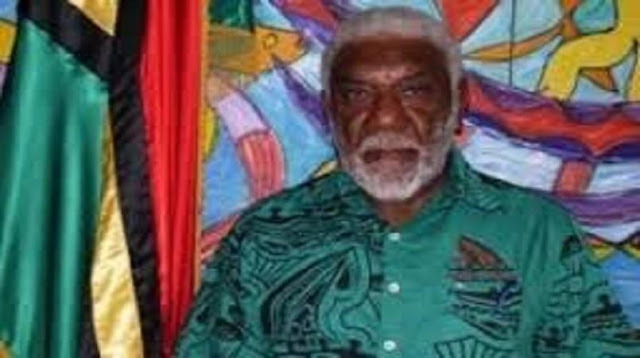 The conspiracy case against Vanuatu deputy prime minister and minister for trade, Joe Natuman has been adjourned yet again. Mr Natuman is facing charges of conspiracy to defeat the course of justice when he was acting in his capacity as prime minister and minister for police to suspend investigations into the mutiny case involving rival senior high ranking police officers. The then acting police commissioner, Aru Maralau, who was acting on instruction from his minister, is also facing the same charges. Jailed politician, Moana Carcasses Kalosil was the complainant in this case. He was already facing charges of conspiracy in line with the complaint filed by Mr Natuman when he lodged this particular complaint in 2014. He was then leader of opposition. Kalosil was convicted on bribery charges but is yet to face conspiracy charges in the Supreme Court. Mr Natuman and Mr Maralau both turned up at the Magistrates Court with their lawyers, John Morison and Edward Nalyal, but only to be told that the court is not ready to proceed with the case. The case is now adjourned to 2pm on Wednesday next week.